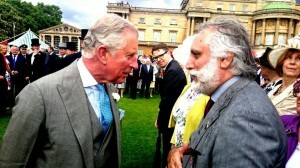 On June 3, 2014, Chairman Toaha Qureshi MBE met with HRH Prince of Wales at Buckingham Palace during the Queen’s Garden Party. Although there was a spell of rain, the royal family still made their way out. The Prince himself hoped “to visit Pakistan once more” as he has only had the “privilege” to visit the country on one occasion. As the Founder of the charity Mosaic, he was pleased to learn that Mr Qureshi’s academic institution, as the lead for the South East Region, had been working with the Harris Academy to mentor students from different backgrounds to enhance employability, confidence and self efficacy. He spoke to one of the mentors and thanked them for what they are doing and for the hard work. Read the profile for Chairman Toaha Qureshi MBE here. Enter your email address, vestibulum commodo lorem sit amet lorem hendrerit egestas.